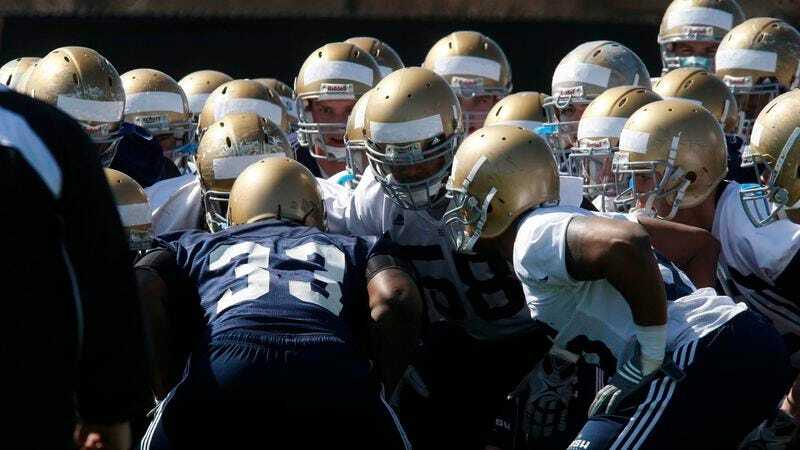 SOUTH BEND, IN—Despite holding a lead with 13 minutes left to play in the fourth quarter, Notre Dame fell short in an intra-squad scrimmage game Friday, losing 33-27 in the final heartbreaking seconds. “We couldn’t stop them, we couldn’t score when we needed to—we beat ourselves out there,” Notre Dame head coach Brian Kelly told reporters after the practice, adding that the loss was particularly painful because “we should be able to beat those guys.” Close games are always tough to swallow, but, in the end, it came down to who was the better team. And that wasn’t us.” Notre Dame is off to its worst start since 2010.